Can't I Just Use Google Translate? Can’t I just use Google Translate? I was asked this question today. It wasn’t the first time. If I’m honest, it annoyed me that I should have to answer it at all. 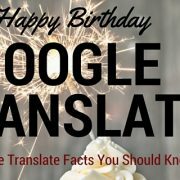 But I guess if you don’t work in the language industry, you might perceive Google as a trustworthy company who can do no wrong, so you could be forgiven for thinking that their machine translation would be equally reliable. I’m answering it here on the language blog, to share with anyone who may be guilty of having the same thoughts. So basically you do the same as Google Translate? Why should I pay you anything when I can get Google Translate to do it for free? 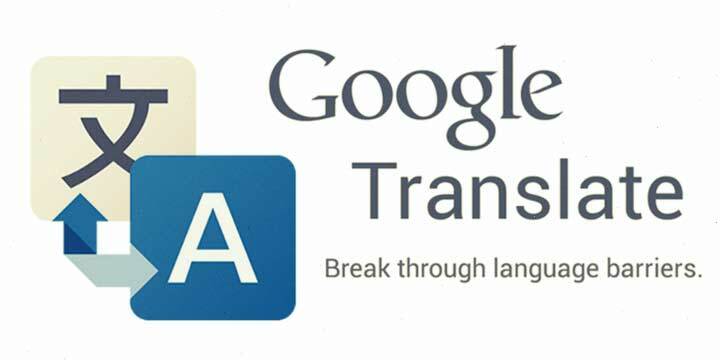 Do you use Google Translate for all your translation? Do you just have one big computer who does all the translation? Over the years I’ve lost quite a few projects to people translating legal contracts, user guides, websites and most recently, translating food packaging, with Google Translate. How do we compete with something that’s perceived as being free? I can talk about how much time, effort and money is required to get the original English document right, so surely when approaching the translation aspect, at least some respect should be paid to the quality of language used, especially when the originator may not be able to read the results. But not everyone listens. The practice of maintaining a multinational marketing message and ensuring the feel of the original language is kept the same takes a high degree of knowledge and skill that can only come (at least for the moment) from human involvement. Machines are unable to accurately convey or understand all the nuances involved with a localization project. When companies rely on this type of machine translation, the shortcuts become painfully obvious to readers of the final product. 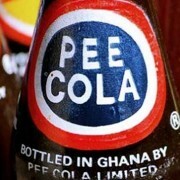 One of the most popular posts on the language blog is about when packaging translation goes wrong. What really makes me sad is when we see examples of translation companies using Google Translate as their own work. Whenever I spot this (believe me we can tell) I do my best to tell the company involved. Earlier this year we used this very method to remove a translation agency supplying a very large global retailer with translation to be used on their international packing. If you’re trying to remove an incumbent company a great way of getting the client to listen to you is for you to proofread their text and present the findings to them, especially if it has a legal connotation to it (for instance food packaging or medical documentation). The translation house in question claimed to use professional translators (aligned with EN15038 which means a translator, reviewer and an independent QA is employed to check the target document translation) and yet we found examples of text which had been translated using the same output Google Translate spits out. Google translate (image taken 27th November 2013) returns the French translation of ‘may contain nuts’ as ‘Peut contenir des noix’ – looks about right doesn’t it? Well noix translates as walnuts so the phrase returned can be understood as ‘may contain walnuts’. Are nuts and walnuts different? They are if your child has an allergy. And they are if you want to legally sell your product in a French speaking part of the world. I took my translation team around a store in-country to see for themselves exactly what had happened. We found the error on 40% of packs. We now provide all of their language support. The problem is made worse by adding incorrect terms, such as these, to a translation memory without the help of a terminologist. They then get used to return ICEs or 101% matches (depending on your Translation Engine of choice). One problem phrase can soon find itself making its way on to almost all of your translated information, partly driven by the bizarre trend of not charging for, or checking 101/ICEs matches provided by large agencies. I’m all for saving money but with things this important to the end consumer extra care really needs to be taken. Terminology Management can be used as either a cash generator or a barrier to entry for your competitors, both ways add value to your business. Making a success of it is largely dependent on demonstrating where you are adding value to your customer’s supply chain. 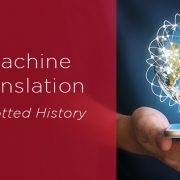 A study by Schuetz, Joerg and Rita Nuebel, “Multi-purpose vs. Task-specific Application: Diagnostic Evaluation of Multilingual Language Technologies” shows us that the cost of correcting a translation error increases dramatically as the process moves on (from Authoring to Maintenance). The value can be generated by managing the terminology for the client, not adding value to errors and demonstrating the value/money saved in the process. There are numerous terminology tools available on the market to help your team manage this process but the tool has to be fit for the purpose intended. I’ve seen everything from dynamic systems running on top of the latest technology to Google spreadsheets with columns for notes/comments. The point is it needs to work and it needs to be built on a solid foundation, investment in expensive IT systems sometimes makes your problems worse. All will have an equal view about the translation, but some views are more equal than others. There are tools to help you to manage this such as stakeholder impact Vs influence 2x2s that help you to highlight the areas where your systems will need to be aligned first. 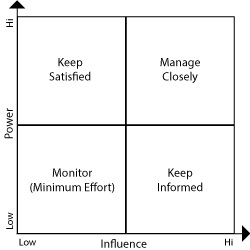 This image (I didn’t invent the model but I use it and present about it) gives you a very quick view into how to manage the stakeholders as they fall into each box, it is obviously pointless spending a lot of time on someone who has very little power or influence over the project. 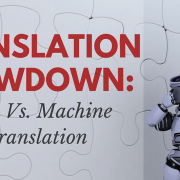 Where does Machine Translation fit into the Process? We use machine translation. A little at the moment but we’ve invested a lot of $$$ into it this year and will be using it a lot more in 2014. But (as stakeholders are) machine translation systems aren’t equal. We use a bespoke system built on Statistical Machine Translation which in turn is built on specific glossaries, translation memories and past work we have completed for each client in each language pair. This is then translated, post edited and outputted to the artwork stage (or whatever is next in the process). Further reliance on leveraged technology puts an even greater importance in Quality Management, i.e. if the investment in terminology has been ignored (or taken verbatim without a terminologist’s check) then the problems our competitor had putting translation errors on food packing will only get worse. Yeah but, Can I use it? Google Translate has its uses, but read the data usage agreement and don’t rely on the output if you’re going to count on it to keep you/your company out of court. It is a subsidiary of Google. This means that it draws on the same technology as the regular search engine does. For languages, it cuts the sentence into segments which are then researched automatically on the web. The problem is that the web is an interactive tool, with the entire world as its supplier. Google Translate can’t draw solely from quality sources as these are often formalised language and doesn’t reflect consumer demand for the translation of popularised phrases. Furthermore, it knows no grammar, it fakes grammar through its segmentation rules. The process of taking your message, breaking it down to its constitute parts, understanding the external influences in region, applying the relevant legislation and putting it all back together in another language remains a complex one. Don’t rely on a free service to do this (you wouldn’t for almost anything else in your business) and if your LSP is using it – talk to us. https://www.k-international.com/wp-content/uploads/2013/12/Google-Translate.jpg 360 720 Richard Brooks https://www.k-international.com/wp-content/uploads/2018/09/weblogo-V7l.png Richard Brooks2013-12-23 12:59:402016-07-27 13:33:47Can’t I just use Google Translate? 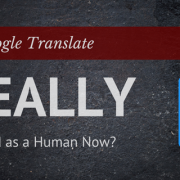 Is Google Translate Really As Good As a Human Now? Whenever someone, as an author, tries to “communicate” something to someone else, the resulting message is a combination of the author’s ideas, intentions, opinions, prejudices and emotions, including desires, neuroses and fears, all these factors being influenced by the environment, family and culture the author was raised and lived in. A translator, as a human being him/herself, should be aware of his/her own mind’s workings when receiving the original message, in order to avoid, as much as possible, contaminating the message with his/her own truths and opinions. Receiving a message from an author is such a complicated process, given all the aspects which have influenced its original creation, that any contribution introduced by a not-so-cautious translator will tend to produce a sometimes disastrous result. No wonder the Italians say “traduttori, traditori”. In view of the (almost?) impossibility of finding a “perfect” translator, one which would be capable of receiving the author’s “message” in its entirety, with no distortions, the true professional is distinguished from people who “can speak the language” by the awareness and care with which he/she approaches the task of translating. Respect for the source message and experience translate into quality (intentional). Great comment José! (and thank you). “Peut contenir des noix” is correct. In Europe we don’t babysit customers (so no need to write: “this product may contain nuts. When we say nuts we mean…”). If they choose to believe “noix” means only walnuts customers are careless. If I had a child with severe allergies, I’d be way more careful than to assume it means only walnuts. Noix as well as nuts are generic terms (“macadamia nut” = “noix de macadame”). The point is it does matter. The new Food Industry Regulations (which come out at the end of this year Europe wide) provide all food producers with new guidelines on how information on pack about items such as allergens should be displayed. You’ll notice the change this year in stores on the back and front of packs of almost all food products on shelf in Europe. I was hoping to show that companies who blindly trust Google Translate (and the like) and think ‘it’s close enough’ or ‘we don’t need to babysit people’ when they see the ‘translated’ text will either destroy their brand’s value or receive product recall notices. They often chose to use Google Translate because of cost (“yeah but, this one is free”), which confuses me because the cost of a product recall starts at $50,000 and the value that international retailers put into their brand is astronomical. Translation which is close enough isn’t good enough. Its a critical part of the procedure which is integrated into the artwork and legal review processes. It needs to be 100% correct 100% of the time, when things as important as allergy advice are concerned there’s no room for ambiguity. I agree with you Richard. I forwarded it to a translation manager, but he only said “interesting!” and pointed out that in your last paragraph you said “in to” for “into”, “it’s” for “its”. Here in your comment you say “its” for “it’s”. Translators are a picky lot, but I am sure he agreed wholeheartedly with you (no relation to hole in the heart). Could you comment sometime on the quality of online human translators or agencies compared to traditional companies? Thank you Graham. And thanks for the extra proofread, looks like I needed it. And yes. How you phrase the source text will affect the translation. All this type of thing is super confusing (even for people in the industry) which is why the regulatory bodies have put so much work into the new iteration of the Food Industry Regulations to help clear a lot of it up. 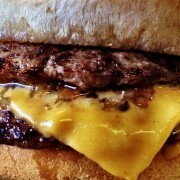 Quality is subjective. It needs to be defined as part of the project scope. Google Translate is an amazing tool and sometimes using an online translation tool is perfectly acceptable, sometimes it isn’t… sometimes you need a team of a lawyers in-country to check the text. The problems come when translators/companies/whoever take a wide view and use the wrong process (or treat profit as the one and only metric). I hate the term ‘fitness for purpose’ but its the best one I can think of when talking about quality : ). I find all points made by you, Richard, and other readers commenting on this article to be interesting and insightful. With regards to allergies, the problem is not so much the French ambiguity of “noix” (either “tree nuts” or “walnuts”), but rather the differences in the very concept of “nuts” between English, French and botanical definitions. – nut-like fruits (such as “coconuts”, which most people know are not defined as “tree nuts”, but the risk of confusion is still worth considering). • In French, “noix” (tree nuts) officially excludes such things as “arachides” (peanuts), “pignons de pin” (often improperly called “noix de pin”: pine nuts) and “noix de coco” (coconut), but some confusion remains in the latter three cases. – generally speaking, “nuts” is in fact widely accepted for anything whose name includes the word “nut” – which may or may not include “peanuts” (in such expressions as “walnuts, almonds, peanuts, and other nuts”; cf. http://www.learnersdictionary.com/definition/nut) and “pine nuts” (which the Canadian legislation even includes officially in the “tree nuts” allergen category; cf. http://www.hc-sc.gc.ca/fn-an/pubs/securit/2016-allergen_treenuts-noix/index-eng.php). Translation presents a real challenge to people who take their as serious business. 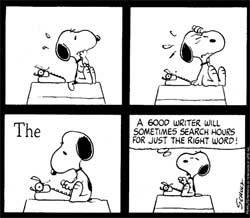 One can translate a set of words, sentences, paragraphs, etc just by the simple fact of one’s own proficiency. But when it comes to rendering, providing a professional translation service one needs more than just insight. You need to be either trained academically, have extensive work experience, or both as solid foundation in order to assume the task. Never mind Google translate, any other sight or software. Let’s get real. We know that Technology is at the tip of our fingers, that thanks to it we have access to vast amounts of information never ever imagined. Reason why today although not to perfection I am much more efficient today than I was yesterday, figure of speech of course. Reason why I believe that a good dependable translator is built from many years of practice, from having lived abroad, from educational achievements, and most importantly from absolute dedication and constant improvement. Need I say more, perhaps just close with an example of what was previously written? Hi Robert. Thank you for your thoughtful comment. It does take years to create the knowledge/experience to be a translator. And because of that (by and large) they are an absolutely wonderful group of people (and some of the most intelligent people you could ever meet). When the latest technology is added to their unique skill set throughput can be increased. Sadly in some instances people who don’t understand the process think that a computer algorithm can replace them – read this morning that the Spanish version of healthcare.gov is unedited MT output (no doubt it’ll cost many more times than it would to put it right). I could not agree more with the author of the article. I have the same issue to deal with, over and over again. Sometimes, in film subtitles you can find a horse whose name is A CUP OF BUTTER (the original is Buttercup), you can also “learn” that a SHOE (original SHOO) can chase away an unwanted animal … but those are funny and mostly harmless examples. Thanks Ajli. Great examples of when translation can be taken out of context. And you’re right… bad translation at best is funny at worst it can be very harmful. And yes! price your projects on value. I’ll be presenting at ALC US, ELIA Riga and memoQfest this year about the importance of creating value in your customers supply chain and how to a) calculate it and b) extract the correct amount for your own firm. I’ll be blogging/tweeting about it nearer the time as well – so stay tuned! Hi my friend! I wish to say that this post is awesome, nice written and include almost all significant infos. that might be in different languages , so a document translation is very helpful for this purpose.